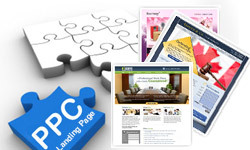 Why Create a Landing Page for Every Service You Offer? Usability and the probability of higher conversions and lower bounce rates are an obvious benefit because your message is clear and focused. Your Quality Score will increase the relevancy of your landing pages. A high Quality Score will decrease the cost of your ads and allow them to be displayed more often. 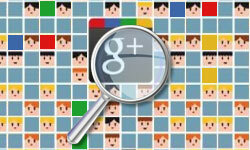 How Does Google Calculate Quality Score? The keyword’s CTR (Click Through Rate). The ad copy’s relevance to your keyword and a user’s query (this is the copy displayed on the ad itself). Landing page’s relevance (how relevant your landing page is based on the keyword). The performance of your ad and landing page. 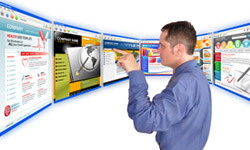 Are people visiting and staying on your landing page for some time? Does the page have a high bounce rate? Why Does Google Care About Your Quality Score? Having users click on AdWords ads is Google’s #1 priority, because if people begin to lose trust in the ads i.e. finding that ads are irrelevant, it’s a big threat to the whole system (and its lifeblood). On the other hand if your ad is highly relevant it’s useful to users, it may even pick up a few +1’s further adding to the landing page’s performance and its relevancy. It’s also important to note that the more +1’s an ad gets, the higher the potential click through rate becomes and along with it, an increased Quality Score! How Do I Increase My Ad’s Quality Score? Take your keywords and group them together by topic and determine how many different landing pages you’ll need to create. Use your list of keywords for that topic in your landing page content. If you know the fundamentals of on-page SEO you’re off to a good start, if not, keep reading. Aim for 4-6% keyword density, write a few paragraphs at least. Try and find the median between useful copy and information overload. Don’t keyword stuff your copy, make sure it reads naturally. Use headings with your keywords and use them throughout the body text. Also use variations of your keywords, play with synonyms, variations and syntax. Try using your keywords in the domain address of your landing page. Also use vanity URLs with your keywords. If possible use your keywords in the title tag, footer, image tags and hyperlinks.